Hyundai Elite i20 2018 Facelift : Hyundai, the 2nd largest automobile manufacturer in India is now all set to launch its all new Hyundai Elite i20 2018 Facelift in Indian Market. The Elite i20 2018 has seen many times testing a few times ago as well. 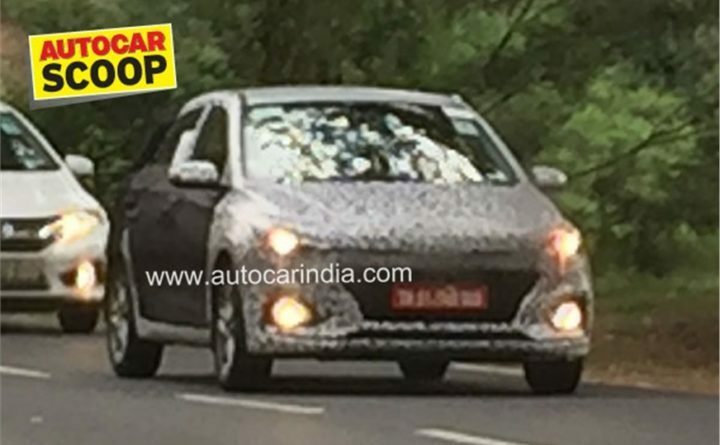 Now the car is spied testing in Indian Roads which clearly shows that the is all set to be unvieled at the 2018 Auto Expo and is expected to launch in the first half of 2018. Hyundai Elite i20 is the one of the most selling cars in India and it is a great competitor of Maruti Suzuki Baleno , Honda Jazz etc in the Premium Hatchback segment in India.Hyundai Elite i20 is Known for its amazing handling and Comfort so the upcoming facelift will take the comfort level of the car to the next level. Coming to the design, Elite i20 is popular for its futuristic design which looks very attractive and it is one of the best looking car in the premium hatchback segment in India.The upcoming facelift will come with minor changes from the outside. As per pictures we can say that it will get a new grille , a new bumper and new fog lamps at the front . 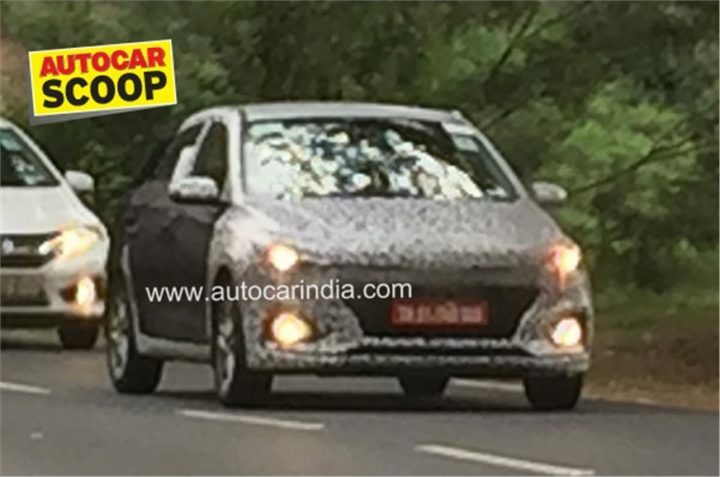 Side profile of the car seems to be have no changes except the new Alloy wheels , the 2018 Elite i20 will come with new Alloys which are expeced to be machined-cut alloys, there is no other changes at the side so we think that the upcoming model will share same side profile as of the ongoing model. Coming to the Rear , the backside of the car will come with some minor changes like new redesigned bumbers , a minor changes in tail lamps , also according to the pictures , the upcoming model will get number plate placed at just below the centre of the tail lamps.Also from the pictures , the backside of the car is lokking like slightly raised up so we can say that the upcoming model may have some changes in the suspension as well. Hyundai is Known for making great Diesel engines and it is popular among the enthusiasts because of its 1.4L Diesel engine which comes with 6 Speed Manual Transmission. The upcoming Facelift or Elite i20 2018 is expected to come with same 1.4L 1396cc Diesel engine and 1.2L 1197cc Petrol Engine. The ongoing model lacks the safety in base models as the base two models (era and magna doesnot offers ABS) so we may expect that new upcoming model may get ABS all-across the variants, As per the Government Rules Non-ABS Cars will not be available to purchase from the October 2018.